An Elvis fan since he was a young boy, Jeff Barnes has worked hard to preserve the music and excitement of the King of Rock and Roll. 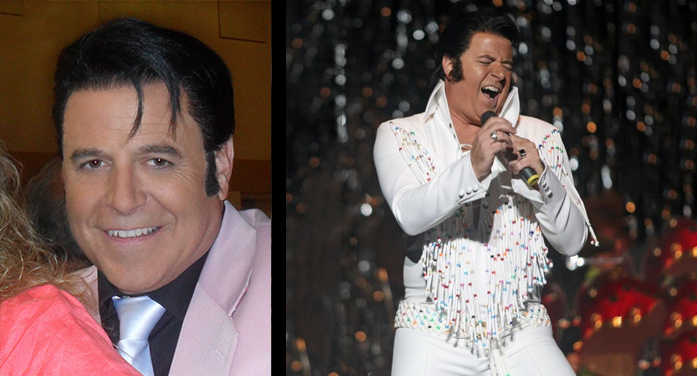 He has been performing his tributes to Elvis Presley for almost 10 years and has performed in most of the southern states. His local performing area is Augusta, Ga. where he has entertained at national conventions, city fairs, festivals, civic clubs, hospitals and nursing homes. Wherever he goes, the crowds feel the excitement, nostalgia and genuine love for the music of the one and only, Elvis Presley. The performance is at 8:00 p.m., Saturday, Oct. 15. Checks for tickets may be mailed to The Edgefield County Historical Society, PO Box 174, Edgefield, SC 29824. Tickets can be purchased by credit card by calling Carolyn at 803 637-2233.